Minimal design meets modern day practicality with the Simone Solidwood Square Table. The geometrical dimensions of this beautiful end table make it the perfect surface for you to place your precious showpieces, or stack a pile of books. 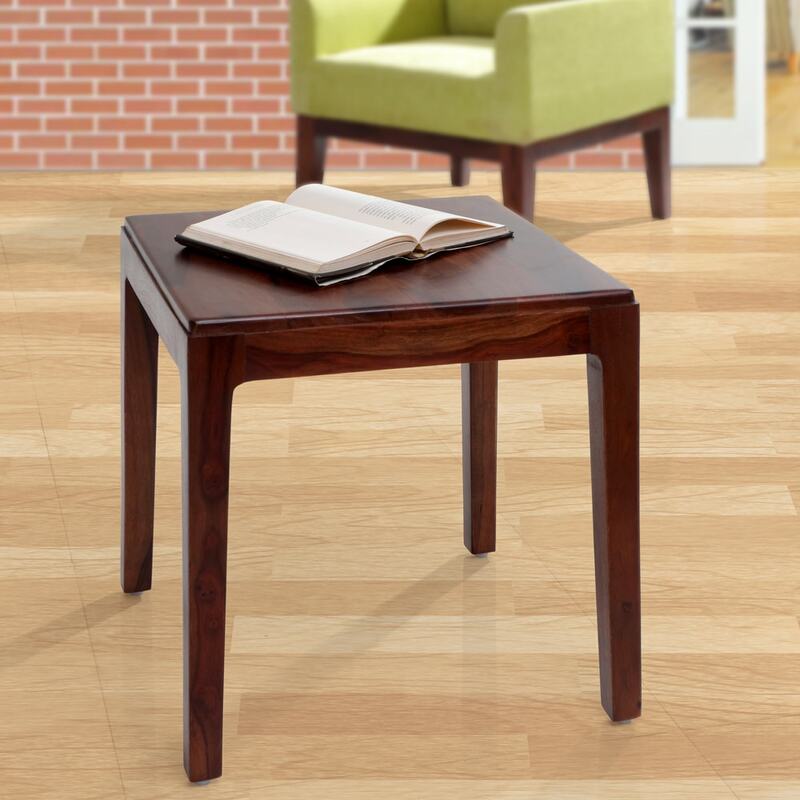 This square shaped table has been crafted from kiln-dried, chemically treated Sheesham wood. Sheesham is particularly noted for its beautiful natural finish, and its ability to withstand wear and tear. The table features tall, slim legs, in keeping with the clean overall look. This piece is sure to be an eye-catching accent piece in your living room. You can choose to buy this piece from our online furniture site, or visit any of our 25 furniture stores across India for the best deals in home furniture.